This AC adapter is a 150 W official Asus power resource that can be used for several Asus laptop models. Excellent for replacing your original AC adapter if broken or misplaced. Choose the safety of an official charger. The power cord is supplied with the charger. You can use our configurator by entering the exact model of your laptop. 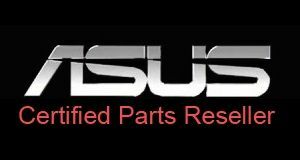 All Asus spare parts compatible with your laptop will arise from this request. If you are not sure of your choice or if you can not locate your model of PC, do not hesitate to contact us so that we can assist you in your purchase.